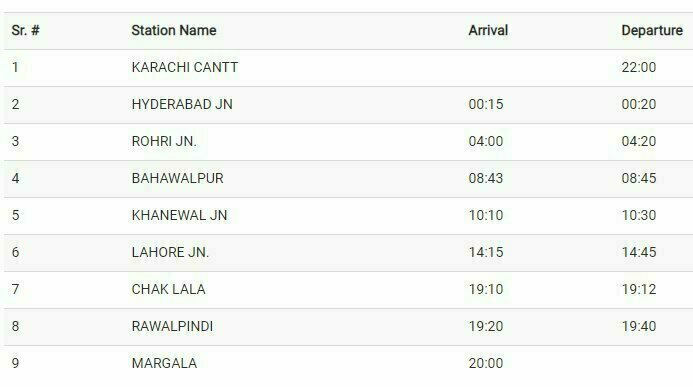 The timing of trains in Pakistan is a huge issue most of the time the trains are hours late than their determined time. Due to the timing and comfort issue, travellers shifted to bus services that offered exact timings and comfort as well. Travellers stopped using trains and due to which the condition of railway went from bad to worst. In the last decade, many passengers have shifted from trains to bus services due to the uncertainty of the trains. But when the journey is long then the bus is also not a good option as one can’t sit in the same gesture of long durations. 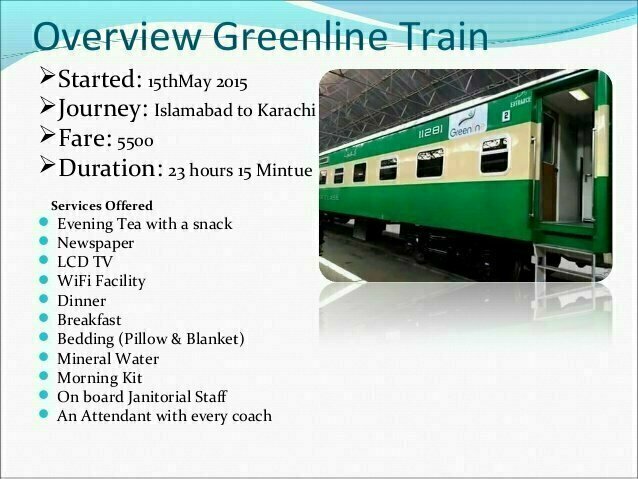 To cope up the requirements, Pakistan railway has come up with green line train. The fully air-conditioned train operates between Margalla/Rawalpindi to Karachi with few stops. The boggies are very comfortable, and the service of wifi is also available. 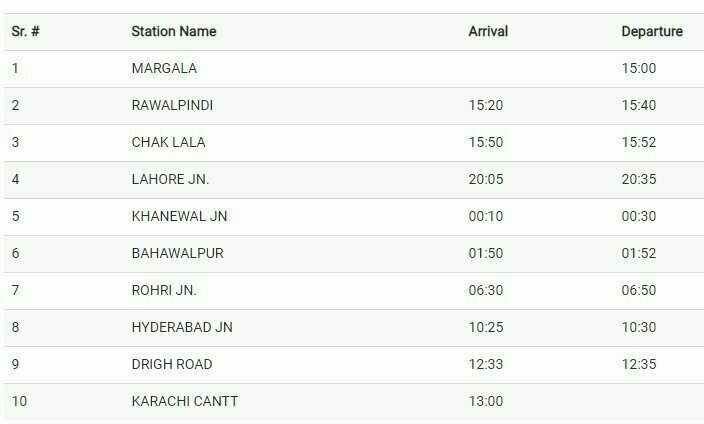 The timings of the train are 03:00 PM from Margalla station Islamabad and reaches Karachi at 02:00 PM, and from Karachi Cantt station it starts at 10:00 PM and reached Margalla station Islamabad at 08:00 PM. The stops in the way are Hyderabad, Rohri, Bahawalpur, Khanewal and Lahore. Such trains can revive the lost Pakistan railway and to survive Pakistan railway has to come up with more projects like this for example from Lahore to Peshawar, Multan to Peshawar, etc. etc. The price of the ticket is also nominal considering the time and comfort, i.e. Rs. 5500/- and from Lahore to Karachi its Rs.5000/-. Breakfast, lunch, dinner, tea, and standard bedding are also included in the fare. In addition to its newspapers are also provided. In addition to it, if you are not going for end to end, the fares are less depending on the length of travelling.